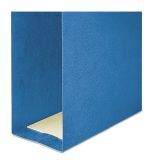 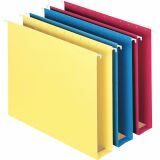 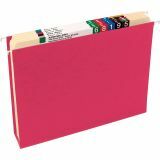 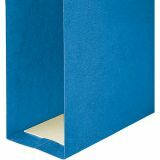 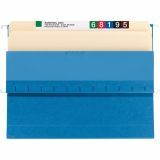 Smead Box Bottom Hanging File Folders, Letter, 2" Expansion, 1/5 Tab, Assorted, 25/Box - Neatly store computer printouts, manuals, catalogs, telephone books or reference books in these hanging box-bottom folders that expand 2. Use the sturdy reinforcement strip to keep contents upright and prevent bulging. 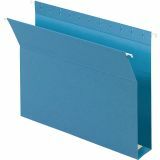 Ideal for desk drawer filing of reference books. 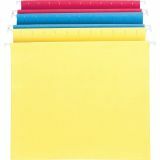 Assorted colors include blue, red and yellow. 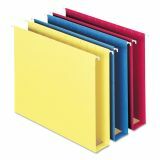 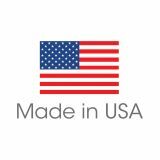 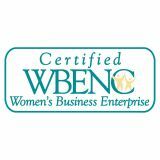 Folders include 1/5-cut clear, poly tabs and white inserts." 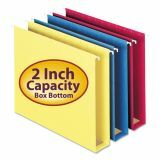 Includes 1/5 cut poly tabs and inserts.